of how his girls earns their cash. includes a nice treat, food and hotel money. 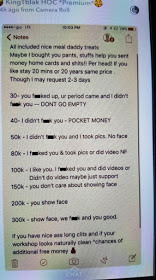 0 Response to "King Of Nigerian Pôrn, King Tblak, Reveals How Much He Pays His Girls(See Details)"